On April 6, from 10am to 2pm only! 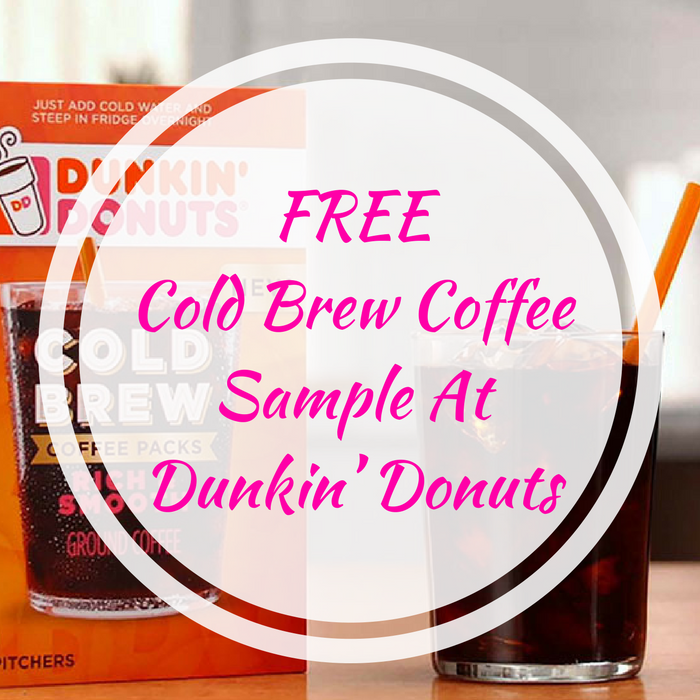 Dunkin Donuts will be offering a FREE Cold Brew Coffee during their special nationwide Cold Brew tasting event! Guests will get complimentary sample (3.5-ounce) at participating locations.